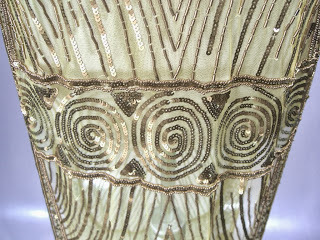 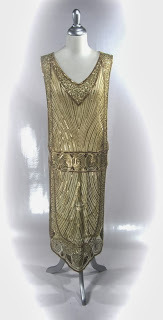 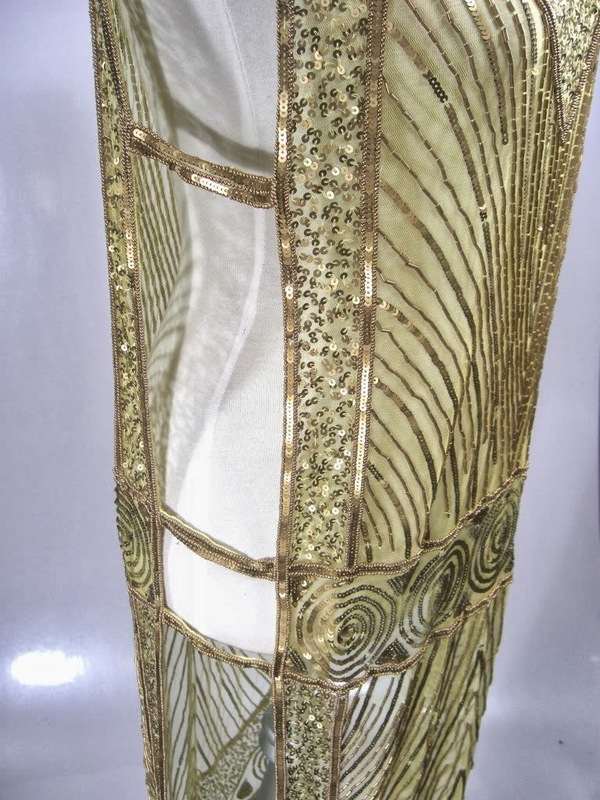 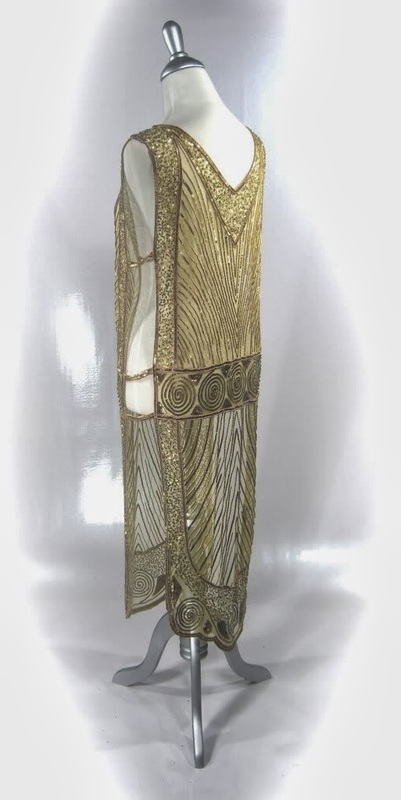 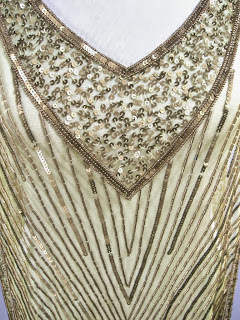 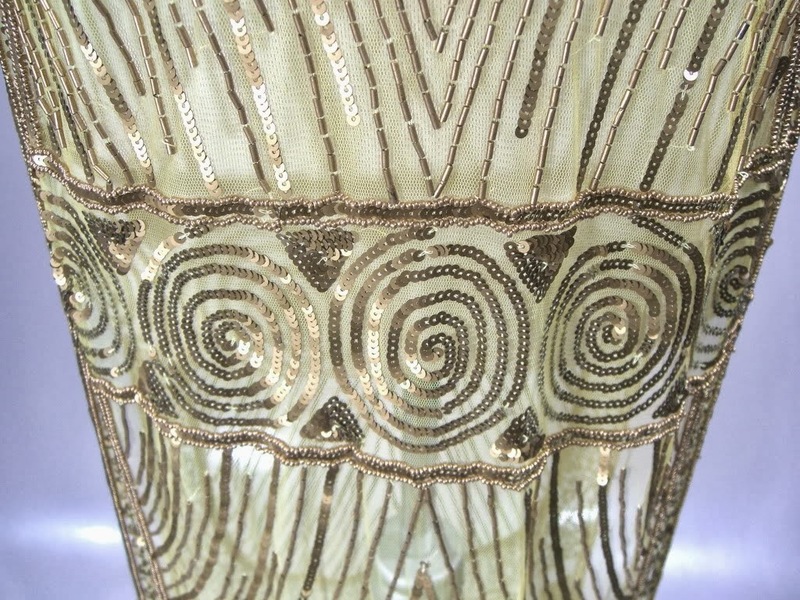 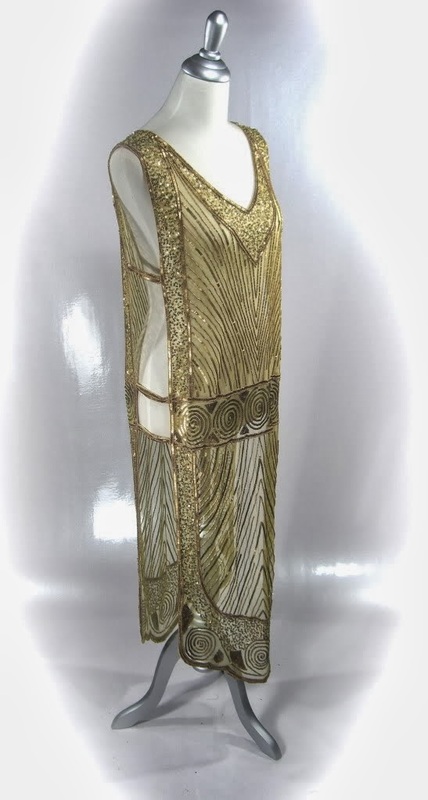 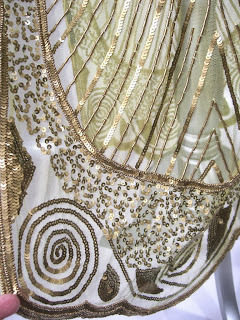 The daring shape of the Tabard dress is one of the iconic designs of the 1920’s – a long beaded panel running down the front and back of the torso, linked by thin bands of shimmering sequins. This style allows for endless variations, as it can be worn over almost any shape of slip, dress, or pant to offer an entirely different look. 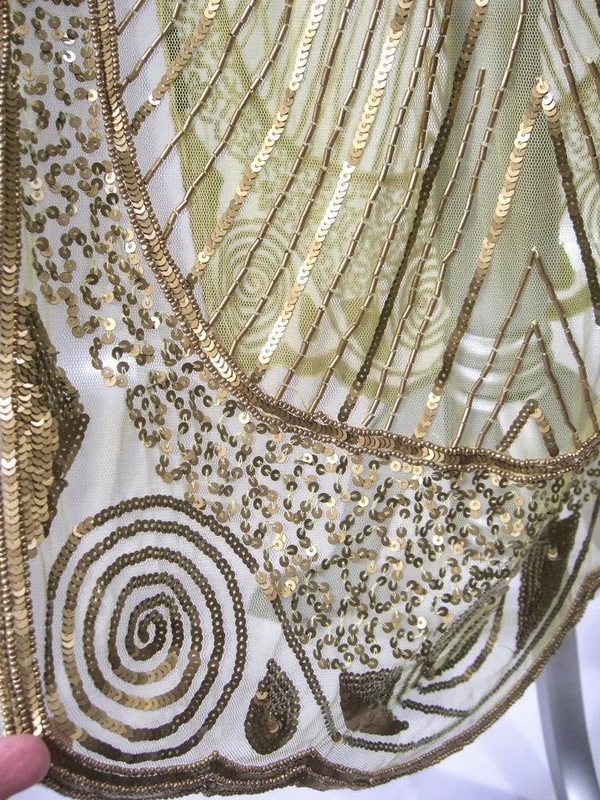 The weight of the beading and sequins gives it an elegant drape which allows this one-size dress to accommodate from a size S to an XL. 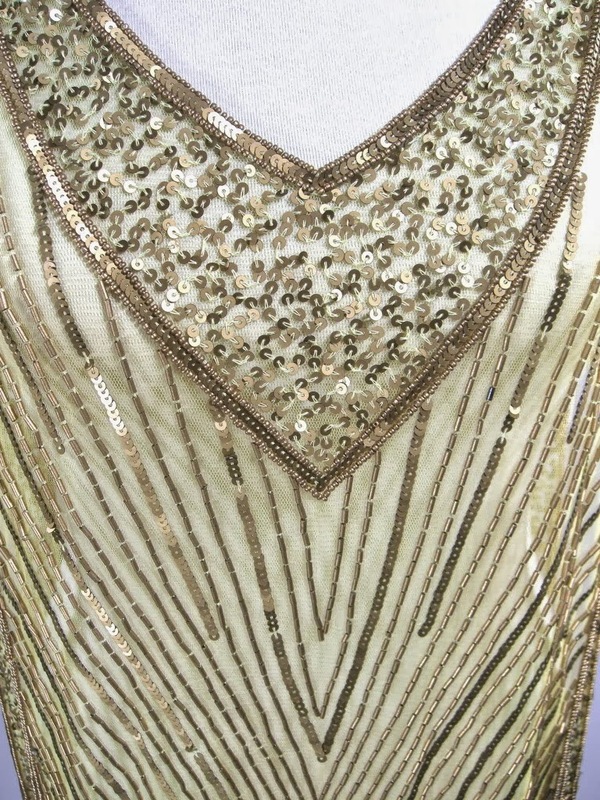 One size…panel width 18", bust band 3", hip band 3", length 50"